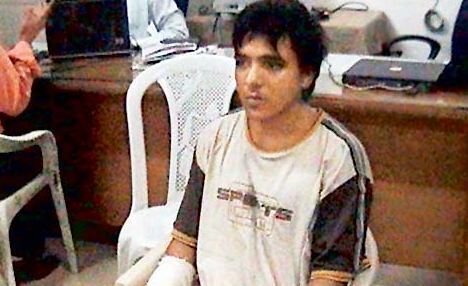 India’s Supreme Court has upheld the death sentence of Pakistani national Mohammad Ajmal Amir Qasab, the sole surviving gunman of the 2008 attacks on Mumbai. Mohammad Qasab, 24, was convicted of murder and other crimes in May 2010. His first appeal was rejected by the Mumbai High Court in February 2011. The November 2008 attacks claimed 166 lives. Nine gunmen were also killed. “In view of the nature of the gravity of his crime and the fact that he participated in waging war against the country, we have no option but to uphold his death penalty,” Supreme Court Justices Aftab Alam and CK Prasad ruled. Legal experts say it could still be months or even years before Mohammad Qasab’s sentence can be carried out. He has the right to appeal to the same two judges to review his case. If that fails he can take his appeal to other Supreme Court judges. His last hope lies with a plea for clemency to the president. There will now be huge pressure for the death sentence to be carried out soon. A spokesman for India’s main opposition Bharatiya Janata Party (BJP), Mukhtar Abbas Naqvi, said there should be “no delay” in executing Qasab. “Those who wage war against the country and kill innocents deserve no mercy,” he said. Prosecutor Gopal Subramaniam hailed the verdict as “a complete victory of the due processes of law”. “It was a case argued in a completely professional and dispassionate manner,” Gopal Subramaniam said. Defence lawyer Raju Ramachandran told reporters outside the court that he had made his arguments and “the court considered them”. “I bow to the verdict,” he added. The trial court in Mumbai had found Mohammad Qasab guilty on 3 May 2010 of murder, terrorist acts and waging war on India and sentenced him to death. In his appeal to the Supreme Court, Mohammad Qasab argued that the prosecution had “failed to prove beyond reasonable doubt” the charges against him. He said he “may be guilty of killing people and carrying out a terrorist act but I am not guilty of waging war against the state”. The 60-hour siege of Mumbai began on 26 November 2008, targeting luxury hotels, the main railway station and a Jewish cultural centre. Mohammad Qasab and an accomplice carried out the assault on the station, killing 52 people. India blamed Pakistan-based militant group Lashkar-e-Taiba for the attacks. After initial denials, Pakistan acknowledged that the assault had been partially planned on its territory and that Mohammad Qasab was a Pakistani citizen.